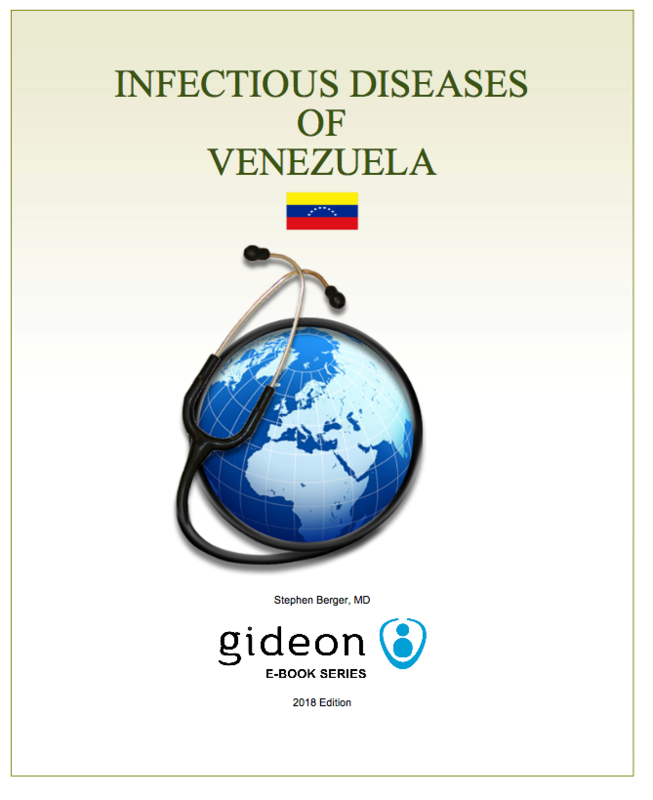 The Global Infectious Diseases and Epidemiology Network (GIDEON, gideononline.com), is a reference database tool produced by GIDEON Informatics in the form of a website and ebook series purporting to offer up-to-date, relevant information to help in the diagnosis and treatment of patients presenting with symptoms of an infectious disease, particularly diseases that may be lesser known in the practitioner’s location. The resource is intended for public health practitioners and specialists as well as educators and librarians. For the former, GIDEON serves as a tool for differential diagnoses and as a reference for treatment and epidemiological information. 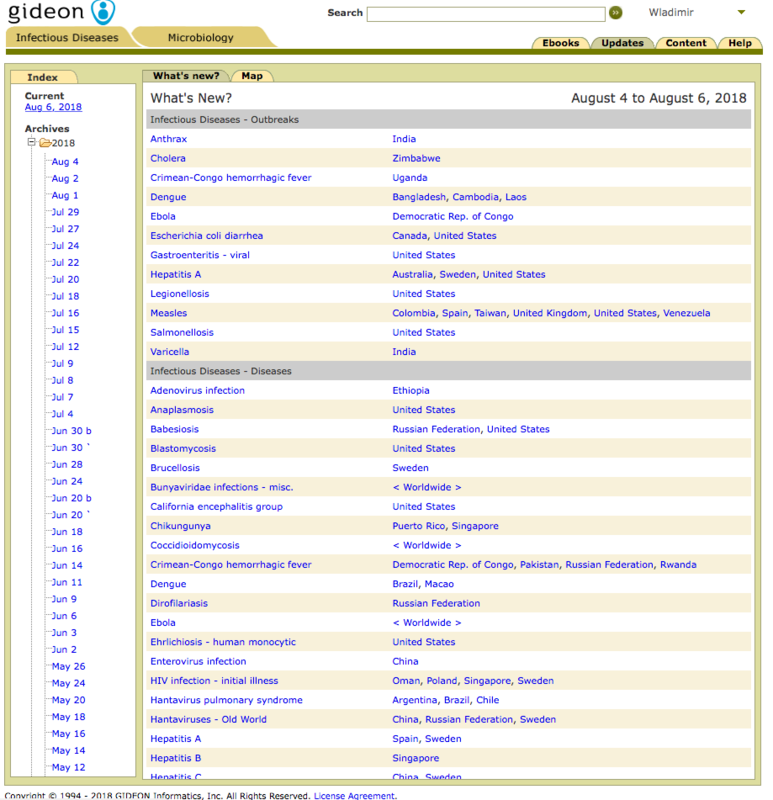 The reference functionality is useful to librarians, researchers, and educators. The practitioner/point-of-care functionality is chiefly accessed through GIDEON’s web application (see sample screenshots) which links, when appropriate, to the ebook series. Information on GIDEON’s database and ebooks is updated multiple times per week and a changelog is accessible on the GIDEON landing page and as an RSS feed. 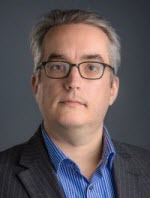 GIDEON was founded by Dr. Stephen Berger, a specialist in clinical microbiology and tropical infectious diseases and is overseen by an advisory board of MD specialists in global health, infectious diseases, and microbiology. However, the GIDEON data collection is at least partially based on automated retrieval from semi-curated lists. A list of mined resources is available from the GIDEON website. 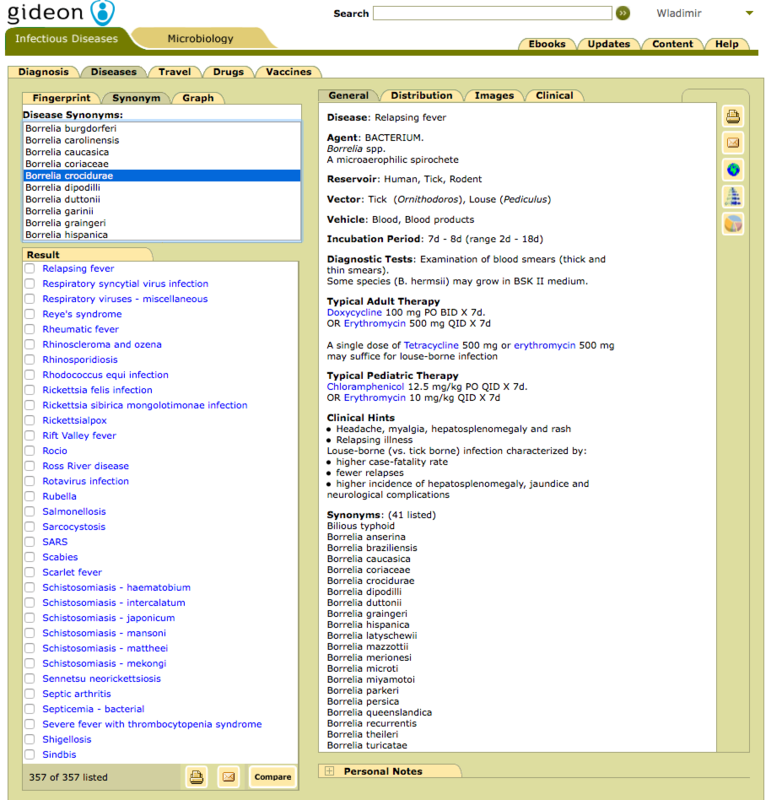 GIDEON presents to users two main tabs on its search engine: infectious diseases and microbiology. The former’s functionality is chiefly related to aiding in diagnosis and treatment whereas the microbiology search tab is mostly geared towards agent identification. As a diagnostics tool, GIDEON allows for entering multiple dimensions of information: not only clinical presentation symptoms, but also date-specific geographic considerations (i.e. 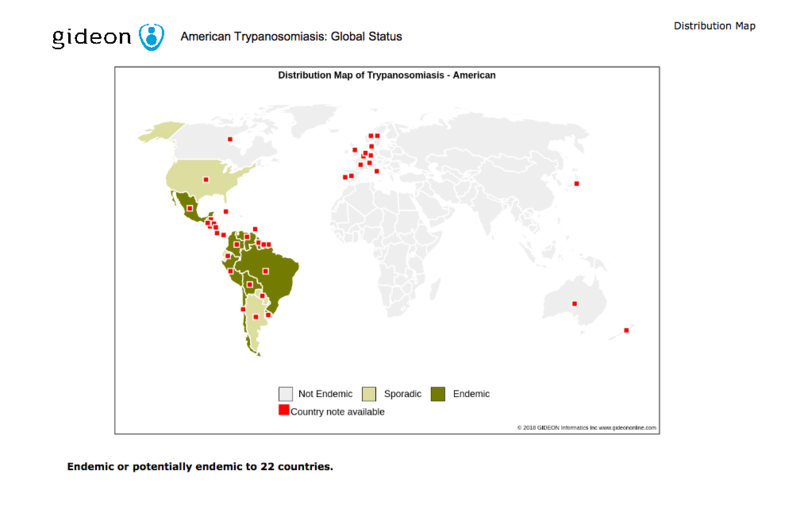 where and has the patient been and when) that are taken into account by the search tool’s Bayesian model to rank the probabilities of possible diagnoses. Aside from these considerations, an optional “Bioterrorism Simulator” factor may be added to the search; however, it is not clear how useful this would be for most presentations. The options for entering symptoms and laboratory results as part of the differential diagnosis search are fairly comprehensive and organized. A neat feature is the “safety mechanism” included in the symptoms that prevents the user from checking multiple mutually exclusive criteria/signs by mistake. Once the search is completed, the possible diagnoses are presented, ranked by likelihood. The user can then select a subset of the possibilities and get a disease comparison listing of further symptoms and tests to help refine the differential diagnosis. The likelihood of each of the candidate further symptoms is also indicated in the results listing interface. 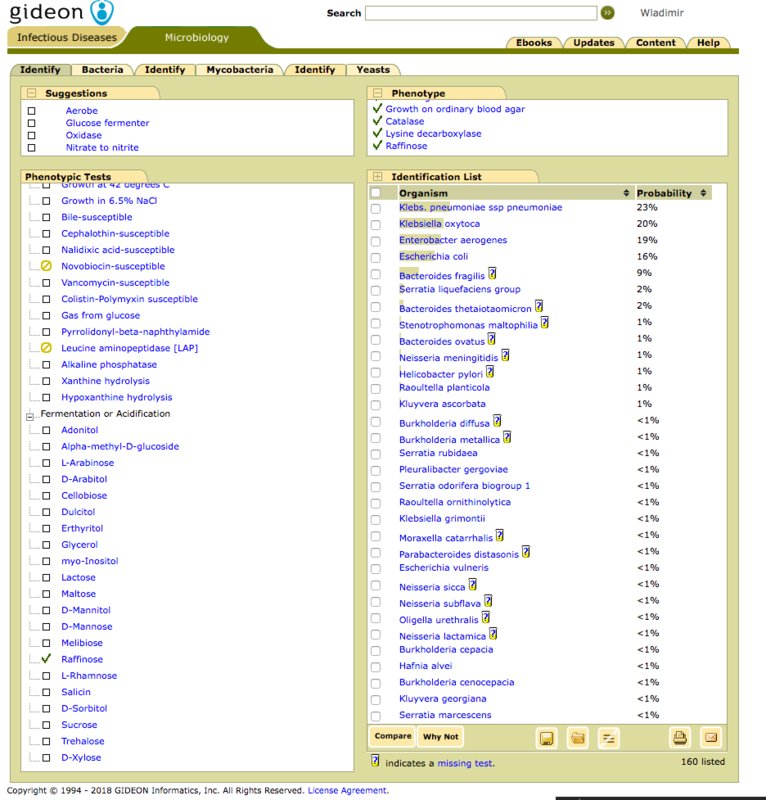 Equally helpful is the optional “Why Not” tab, providing the explanation and elimination criteria of diseases that did not make the ranking but that the user might highly suspect. 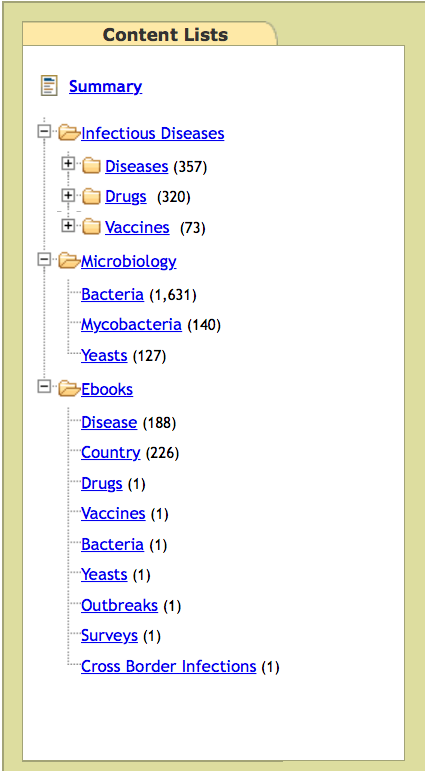 The search procedure for the microbiology tab is similarly organized. A Bayesian model combining incidence rates from each taxa is combined with the phenotypical (i.e. laboratory test readout) characteristics to rank candidate microbial agents by likelihood. The accuracy of the microbiology search results is thus particularly sensitive to the quality of the laboratory data that forms the basis of the user’s search criteria. GIDEON’s microbiology database comprises all human-associated bacteria, mycobacteria, and yeast. Given the complexity of identification of protozoan parasites, these are not included in the identification engine, but are present in the reference materials. Candidate comparison matrices and elimination criteria explanation are provided in a fashion similar to the infectious diseases tab. In addition to the specialist-directed search engines, GIDEON provides a search interface to materials relevant to nonmedical users. 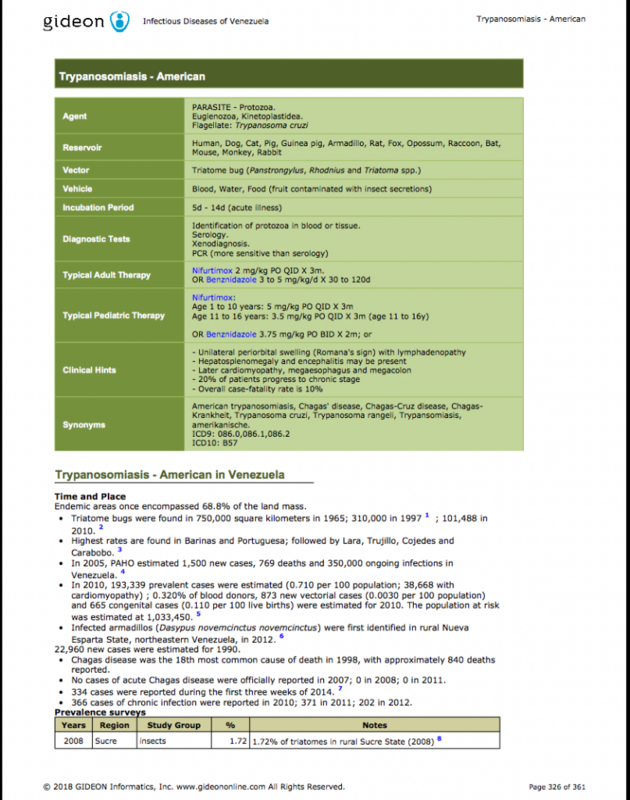 The Travel tab lists relevant disease information and guidelines organized by location. The Drug and Vaccine tabs provide easy-to use interfaces to the appropriate reference materials. 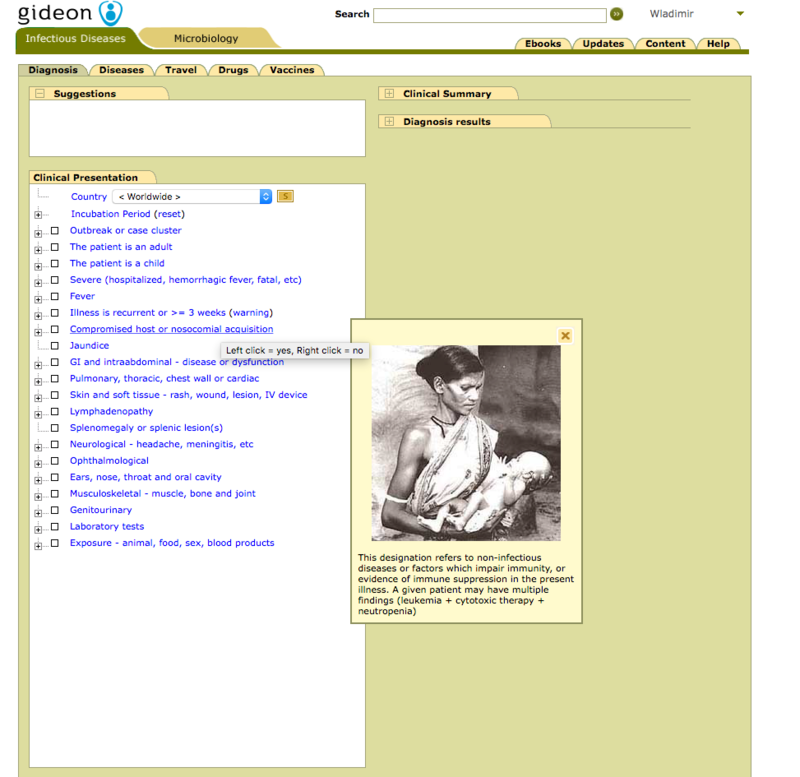 The search and data-mining capabilities of GIDEON do not allow for federated, up-to-the-minute search of the source material. However, GIDEON organizes summaries of this information in the form of ebooks. These materials provide an interactive encyclopedia that can be used as class materials.